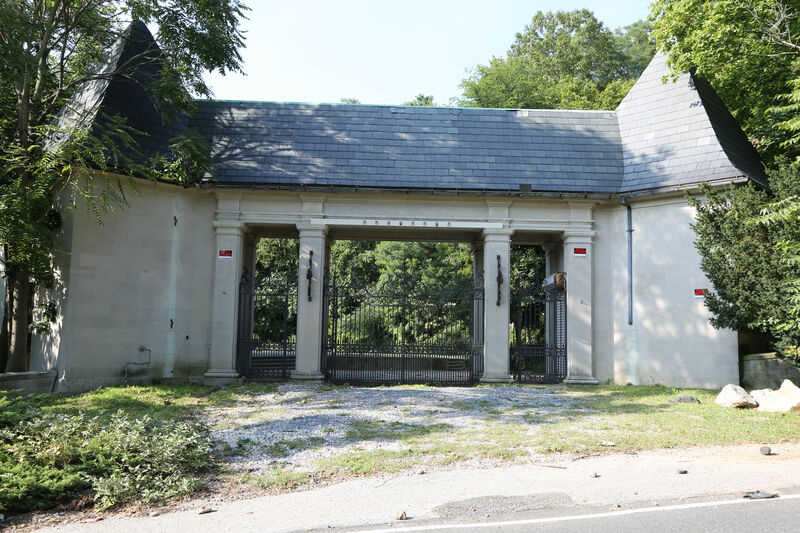 The village of East Hills will own and restore a century-old gate lodge that was once part of one of Long Islands's most opulent estates. 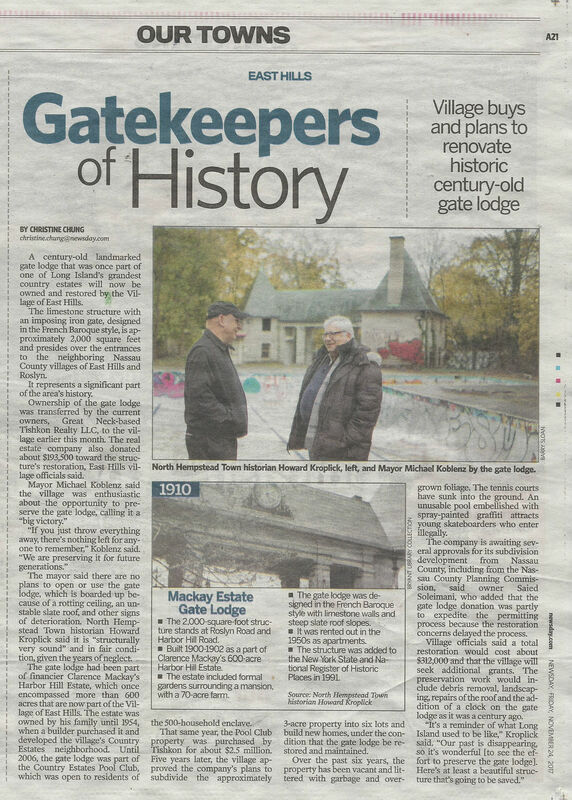 A century-old landmarked gate lodge that was once part of one of Long Island’s grandest country estates will now be owned and restored by the village of East Hills. The limestone structure with an imposing iron gate, designed in the French Baroque style, is approximately 2,000 square feet and presides over the entrances to the neighboring Nassau County villages of East Hills and Roslyn. It represents a significant part of the area’s history. The mayor said there are no plans to open or use the gate lodge, which is boarded up because of a rotting ceiling, an unstable slate roof, and other signs of deterioration. North Hempstead Town historian Howard Kroplick said it is “structurally very sound” and in fair condition, given the years of neglect. 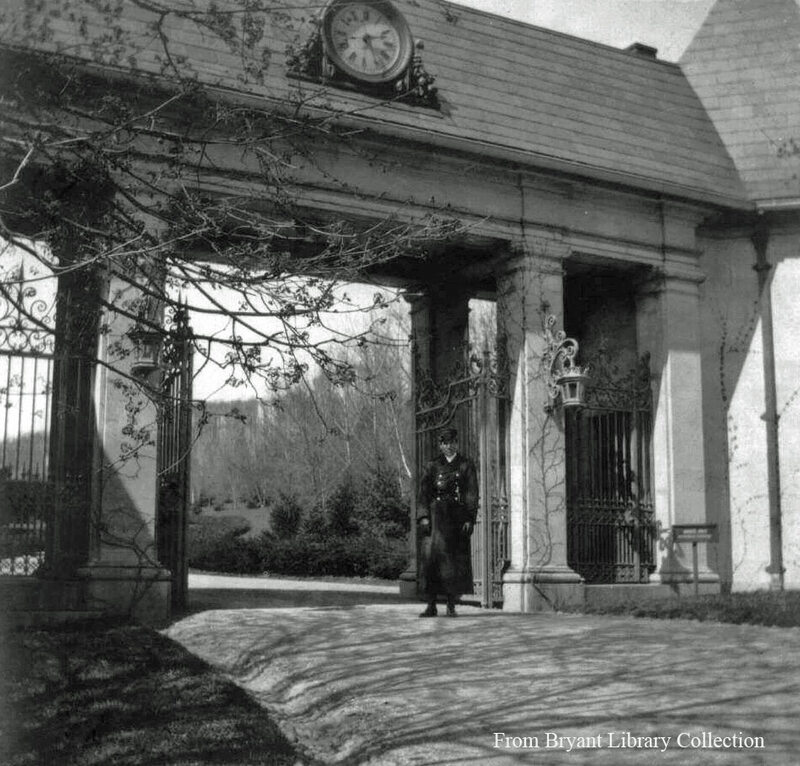 The gate lodge had been part of financier Clarence Mackay’s Harbor Hill Estate, which once encompassed more than 600 acres that are now part of the village of East Hills. The estate was owned by his family until 1954, when a builder purchased it and developed the village’s Country Estates neighborhood. 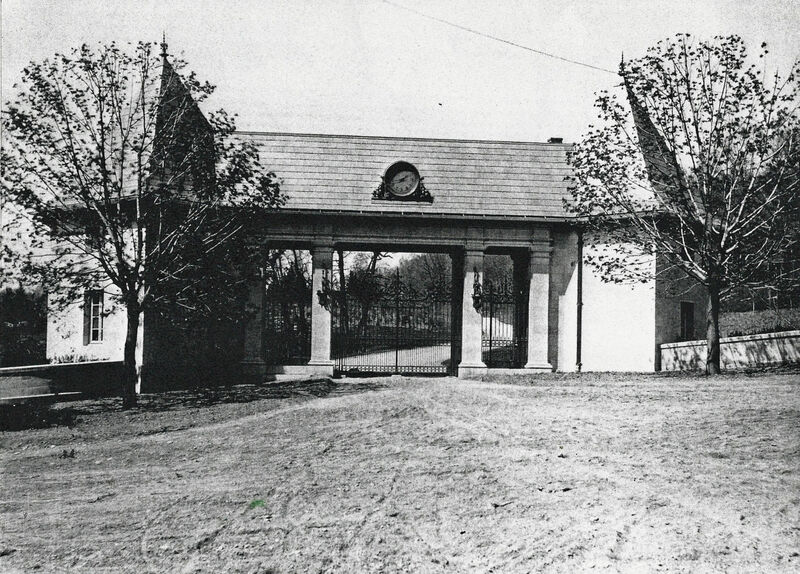 Until 2006, the gate lodge was part of the Country Estates Pool Club, which was open to residents of the 500-household enclave. 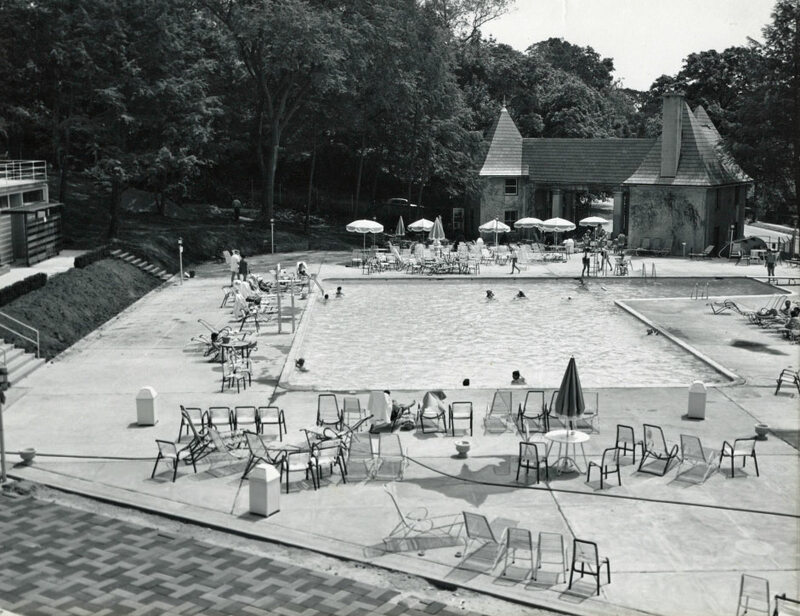 That same year, the Pool Club property was purchased by Tishkon for about $2.5 million. Five years later, the village approved the company’s plans to subdivide the approximately 3-acre property into six lots and build new homes, under the condition that the gate lodge be restored and maintained. Over the past six years, the property has been vacant and littered with garbage and overgrown foliage. The tennis courts have sunk into the ground. An unusable pool embellished with spray-painted graffiti attracts young skateboarders who enter illegally.The company is awaiting several approvals for its subdivision development from Nassau County, including from the Nassau County Planning Commission, said owner Saied Soleimani, who added that the gate lodge donation was partly to expedite the permitting process because the restoration concerns delayed the process. • The 2,000-square-foot structure stands at Roslyn Road and Harbor Hill Road. 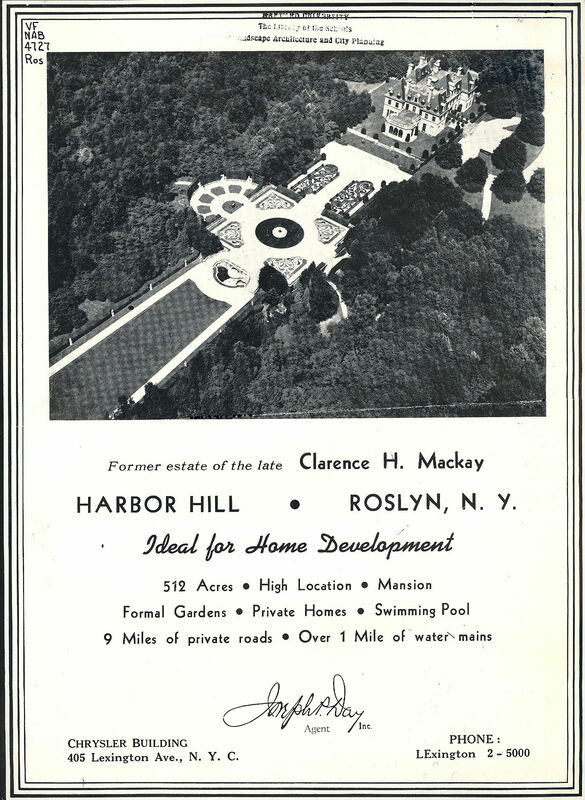 • Built 1900-1902 as a part of Clarence Mackay’s 600-acre Harbor Hill Estate. 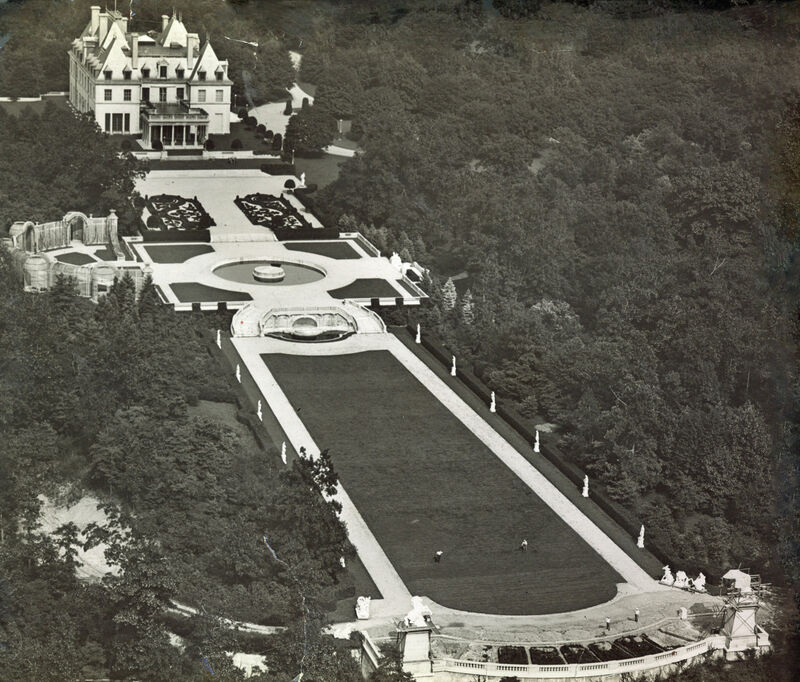 • The estate included formal gardens and terraces surrounding a mansion, with a 70-acre farm. • The gate lodge was designed in the French Baroque style with limestone walls and steep slate roof slopes. • It was rented out in the 1950s as apartments. • The structure was added to the New York State and National Register of Historic Places in 1991.